These little pretties arrived this week and I am dying to start this series, because Rachel Vincent is just made of awesome. I also took my very first trip to Books of Wonder this week and I was like a little kid in a candy shop. There were so many great books there and at one point I had like ten books in my hands. However I narrowed down my choices. 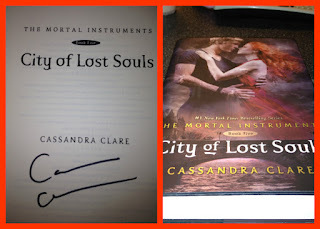 Let me just say how ecstatic I was to finally get myself a signed Cassandra Clare book and my favorite City of Lost Souls! 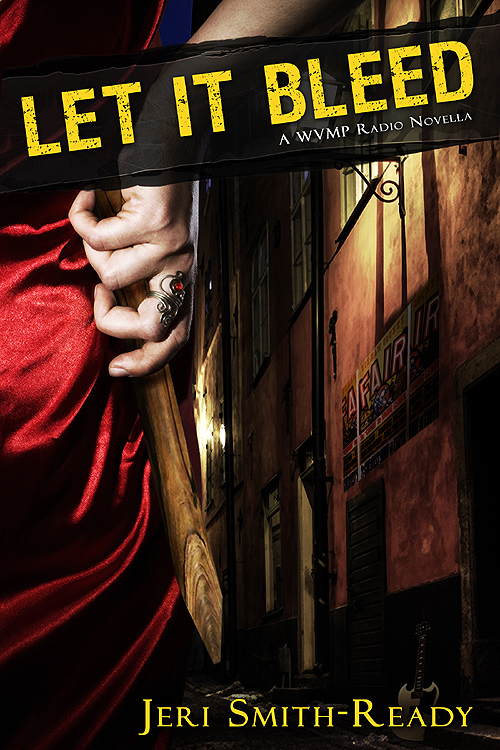 Continuing my obsession with the WVMP Radio series, I downloaded the novella for myself. And last but not least, I received some awesome swag from the awesome Anna Banks! OOoh nice! 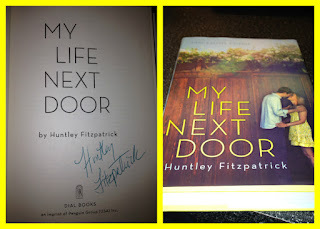 Yay for signed books! Still need to read Of Poseidon myself! Happy Reading! I am dying to read that series by Rachel Vincent!!!!! I ADORE the unbound series it's so amazing. 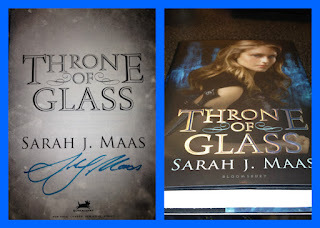 Throne of Glass and my life next store I have and NEED to read too!!! I hear such amazing things! I have the Shifters Series, too, but haven't read them yet. Jessica at Hackaroo's Reviews is thinking of hosting a read-a-long. And yay for signed books. Ohhh I would definitely participate in a Shifters read-a-long! I am so jealous that you have a signed Cassandra Clare book. I still haven't read City of Lost Souls. I think I am nervous about it, but I don't know why. I need to read it. I can't wait for the movie of City of Bones! I wasn't a huge fan of Of Poseidon. I don't know if my expectations were too high, though, because I was so excited about it before it was released. You need to read COLS! It may be my favorite of the series! And yes I am counting down the days until the movie! WOW!! YOU GOT SO MANY AMAZING GOODIES THIS WEEK! :D And I'm super jealous of the signed Cassie Clare book too! D: I live in Toronto, and they are filming City of Bones here.....and I am hoping before they leave they'll hold a comic con, so I get my books signed! Awesome haul Teresa! 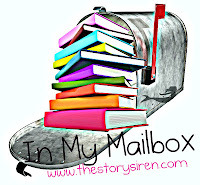 And thanks for stopping by My StS post! Oh that would be awesome if you could get your books signed up there with the cast! Rachel Vincent has two adult series! I loved Soul Screamers so I am hoping I love these as well. You might be smart waiting for the final TMI book because it is two years away and I am dying! 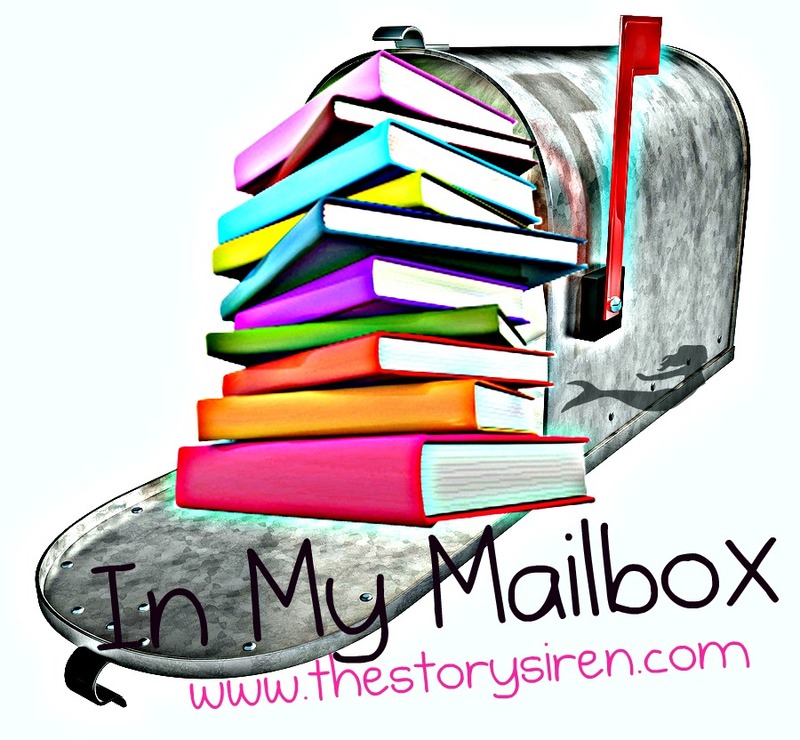 My Life Next Door is a sweet and heartwarming read! I need to finish the Soul Screamers series! I miss the characters!